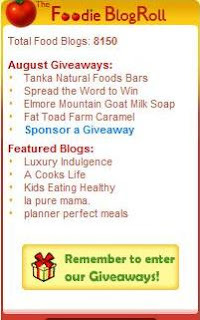 With over 7500 members spanning the globe, Luxury Indulgence is pleased to be featured @ The Foodie Blogroll. "Congratulations SHIRLEY! You have been featured in this week's Finest Foodies Friday! To check it out, go to Foodieblogroll.com. I hope this brings new visitors and comments to your blog!" Thank you Jenn, for this "mouth-watering" surprise! Hop over to My Cooking to check out my award-winning recipes. Awesome! Does that mean you gonna cook for us more?? Well done! Congratulations! Great work is really worth sharing.